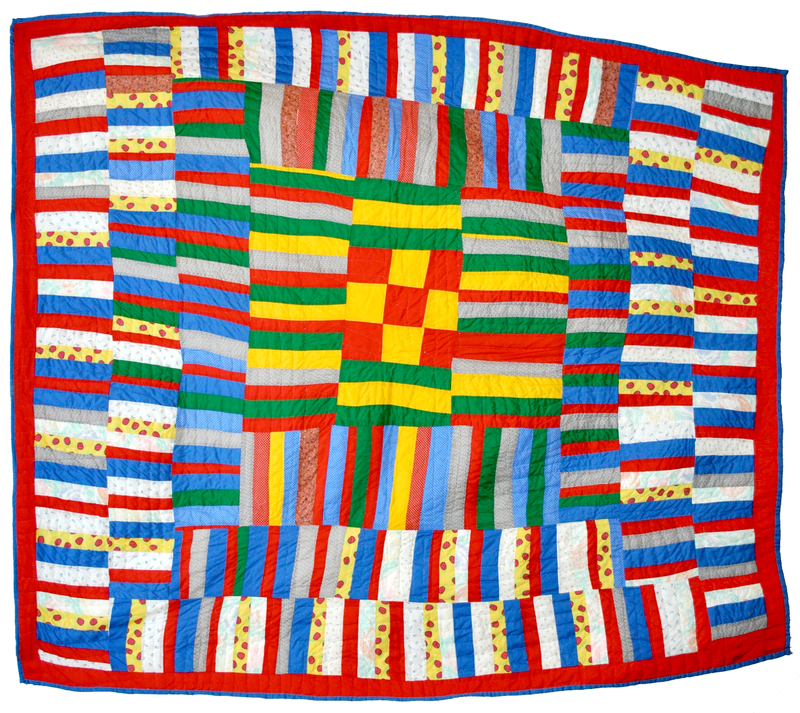 A few years ago I saw a documentary about the quilts of Gee’s Bend on my local PBS station. Gee’s Bend is a an isolated hamlet in Alabama. The quilting tradition goes back many generations in this area, and the quilts are amazing works of art. These women, with very little money or education, created some of the most unique and important African American visual and cultural contributions to the history of art within the United States. 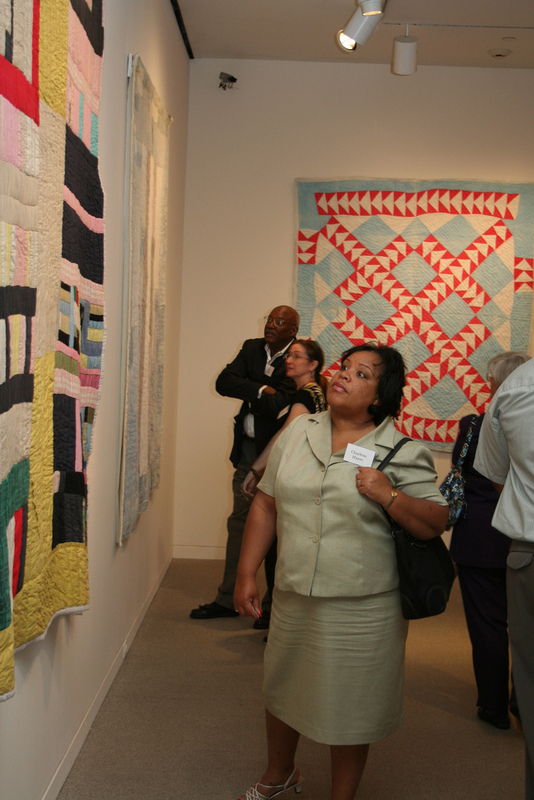 The quilts have been shown in the finest museums in our country. I’d love to see one of these exhibits someday. Recently I found a few baby quilts in a thrift store. 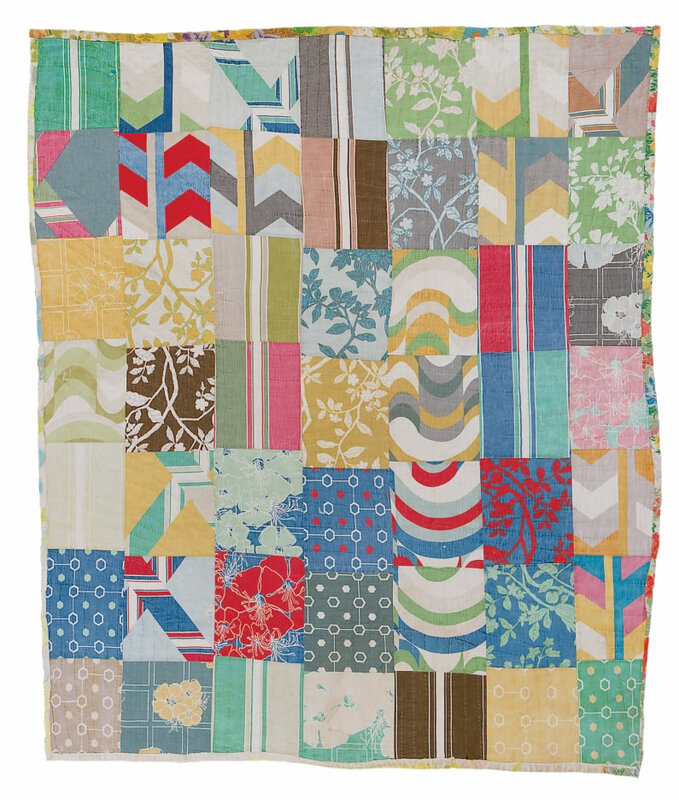 They reminded me so much of the quilts in the documentary. Of course, I purchased them and lovingly washed and pressed them. I really wanted to keep them but I don’t have any place to display them, so I decided to sell them in my Etsy Store, http://www.etsy.com/shop/TheBohemianSprout, which is finally open. They’ll be available in the next few days. I still want to stare at them for a while before I part with them. 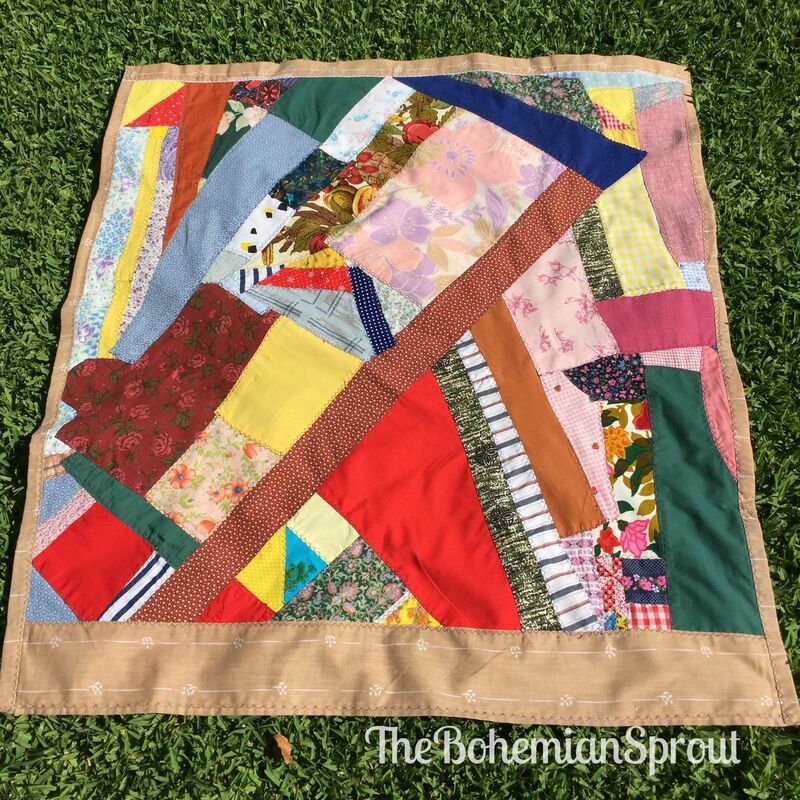 This little vintage quilt is 38 inches x 34 inches and has no batting, which makes it perfect for the southwest where I live. 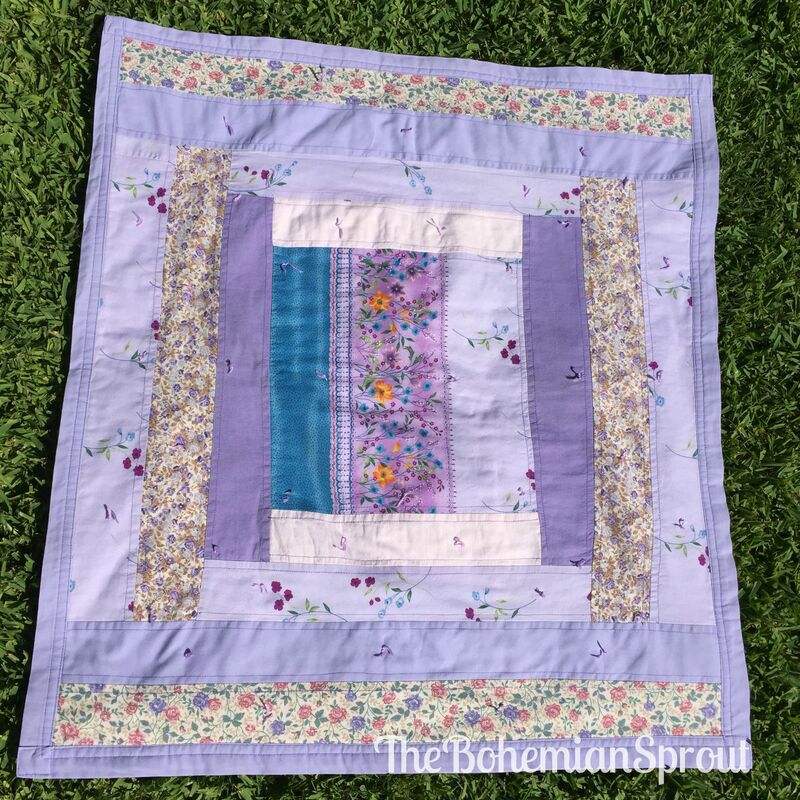 This lovely lavender 34 inch x 30 inch quilt is just heaven. The turquoise stripe makes me smile every time I see it! I hope you have a wonderfully artistic and colorful day!